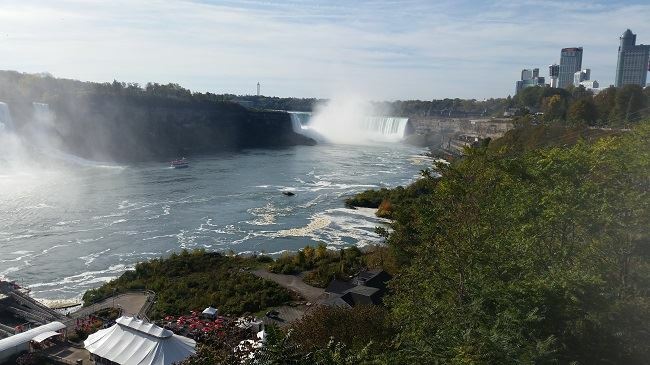 We are located in the Niagara Peninsula, home of “The Prettiest Sunday afternoon drive in the world” - according to Sir Winston Churchill. 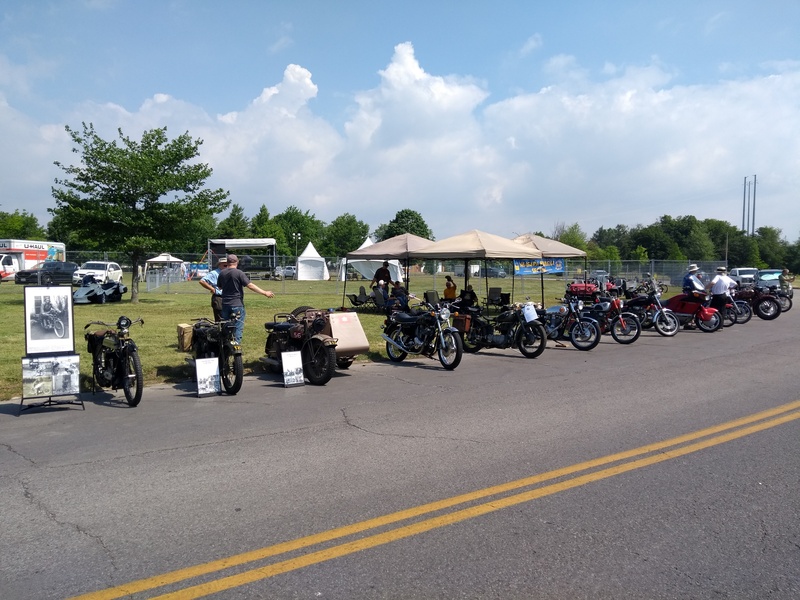 Our members collect and ride motorcycles representing a wide spectrum of years and types, both on & off road. we participate. We participate in various shows throughout the year where we display our pride and joy machines to the public. Monthly meetings are held on the first Tuesday each month, starting at 7:30 PM. Presently we meet at the Welland County Motorcycle Club in Welland. Guests are always welcome at our meetings. Please contact a member of the Executive before coming to a meeting, to confirm time/date/location as these occasionally change. Next meeting will be held on Tuesday, December 4th, 2018. Regular Section breakfasts: Present location Welland Cafe, 506 E. Main St., Welland, at 8:30-8:45 am. We also hold a coffee night on Thursdays, next dates: To be determined by email sent out to members. Christmas Party at Betty's Restaurant 7 pm Tuesday Dec 11th. Buy your tickets beforehand from John Tiffin. If you wish to participate in the gift exchange bring a gift. 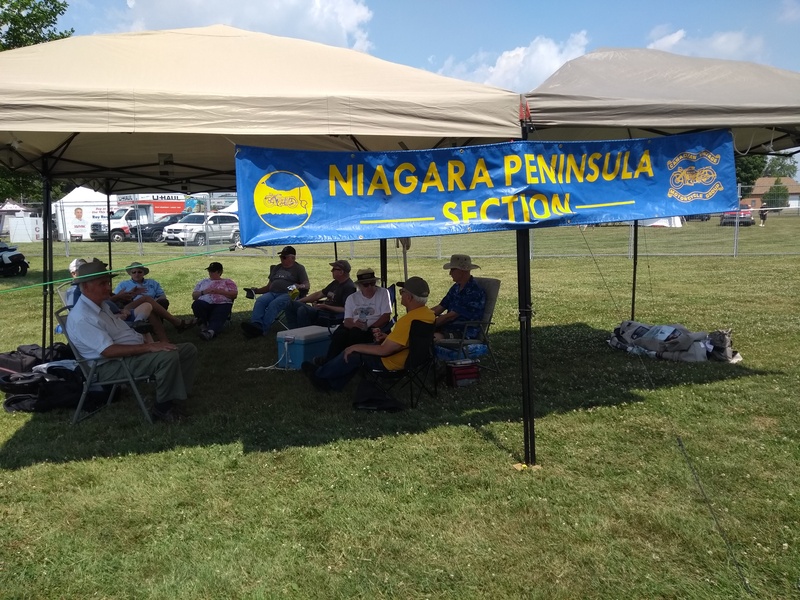 If some of our members would like to have their project published in our webpage for other members to see, please send in the material (pictures, write up, etc). 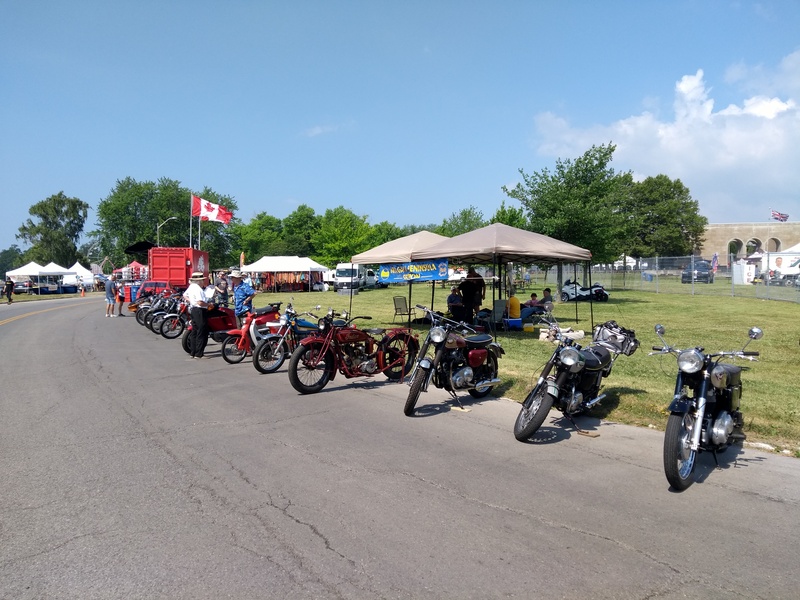 A nice group of 15 vintage and classic bikes, plus 2 newer units (Spyders) were displayed by our Section at the Friendship Festival in Fort Erie on Sunday July 15th. Here are some shots of our display. The organizers of the event provided a free lunch for our group.